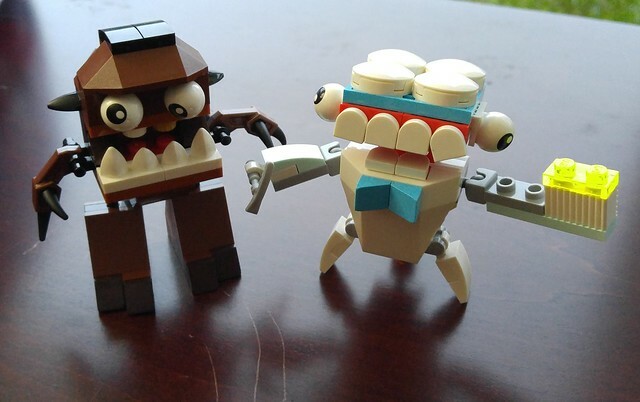 Remember Mixels? Good times. Simpler times. Luckily, I stocked up. When the Mixels were on the decline, I managed to pick up a bunch at a buck a pop. I always liked them for their useful parts, odd colour themes and wacky characterizations. These two both had the same lack of visual focus so I figured they’d be friends. Full disclosure, I still have, like, five more of the Tuth guy. The only one I think I have more of is the green guy with car wash brushes for hands. I can stop whenever I want. And I did. Because they don’t make them anymore.